large enough to do the statement piece I would be excited to wear. It fits my SoCal lifestyle perfectly. Hello, my are you looking festive and gorgeous! 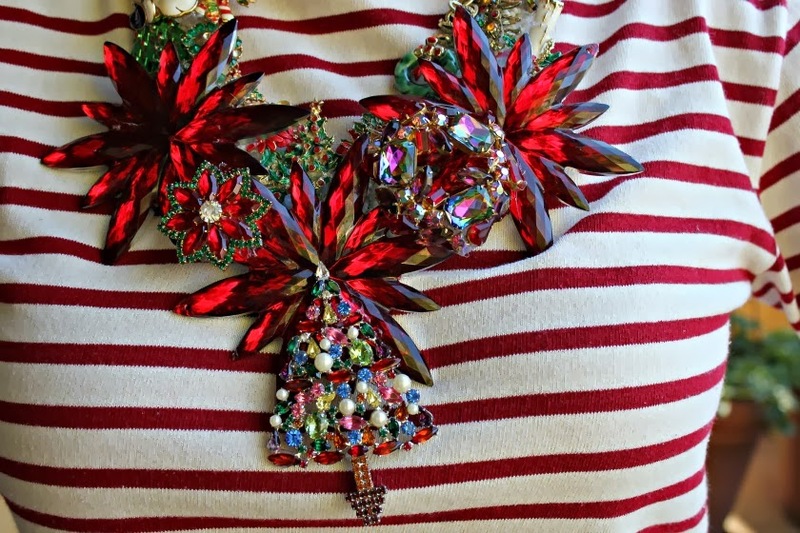 This necklace is stunning and I like it with the stripes and floral print. Hope your Christmas was fun and I'm looking forward to your post in the upcoming year. 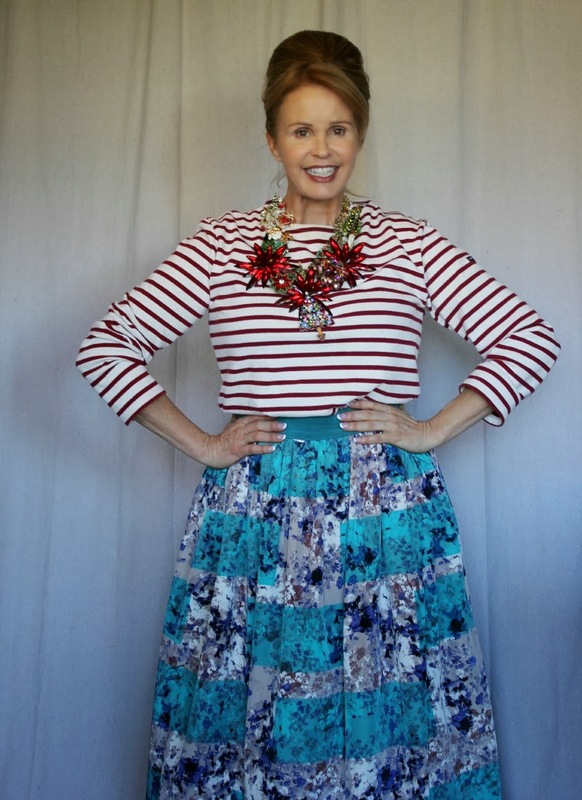 What a fun and festive ensemble! So perfect for a SoCal Christmas. 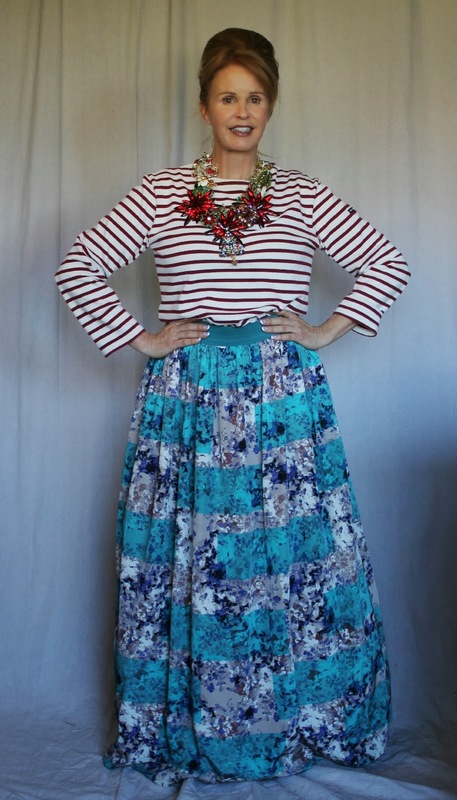 This ensemble could not be more perfect. It is festive, yet classy, and chic, and stylish, and even playful. But the best part is that you somehow put an elegant outfit together that is also practical for being the Hostess. You are such a glamorous role model. (Tori says I need to step it up a few notches, haha). Our jaws are still on the ground admiring that beautiful creation of yours, yes, I'm talking about the necklace. Wow, your talent for creating beauty is astounding. This celebration of jeweled pieces adds sparkle and color befitting the Season! Ah Paris! We have plans for the end of the summer to get for our honeymoon, can't wait, such an amazing city! 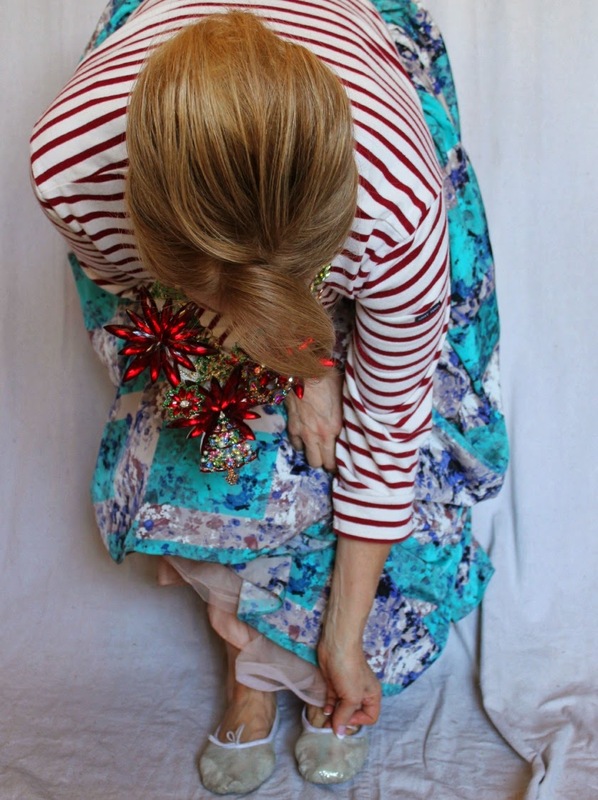 What an adorable holiday outfit! Beats the pants off a Christmas sweater and tights and Uggs! Gorgeous creation, your necklace. Happy New Year again, pretty lady.